If your business relies on sensitive electronic equipment in order to operate, the water from a fire sprinkler system can do as much damage as a fire itself! For businesses like these, fire sprinkler systems are not an option – which is why State Systems, Inc. offers fire suppression system services to our customers in the Mid-South! Our fire suppression systems react quickly to fires, suppressing them to minimize damage, clean-up and business downtime. 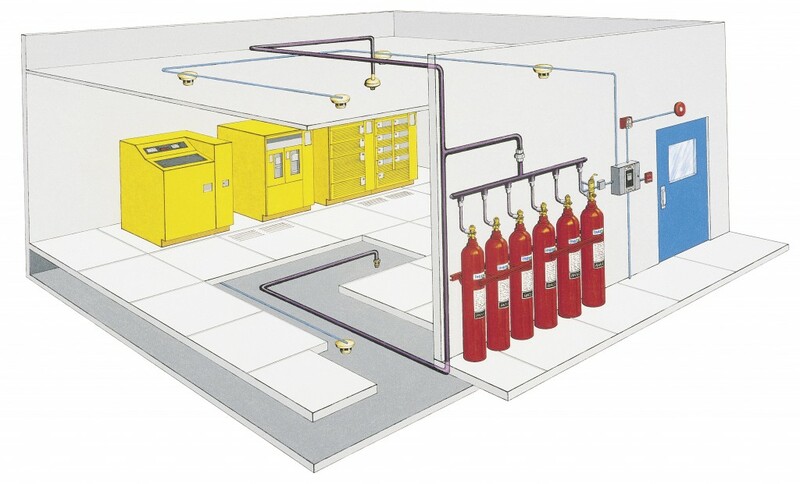 Fire suppression systems are designed to protect things like financial records, data storage and data rooms, industrial equipment, healthcare records, collectibles, historical sites and more. Fire suppression systems are used in conjunction with various fire alarm and detection systems to protect your most valuable business assets. State Systems, Inc. is a licensed FM-200 and CO2 recharging station and employs NICET designers and technicians. We are an authorized suppression systems distributor of ANSUL Incorporated (Tyco Safety Products), FireTrace, Guardian, Kidde Fire Systems, Pyro-Chem (Tyco Safety Products) and Range Guard. The most important thing you can do for your fire suppression system is to make sure it works at all times in order to protect your employees and property. State Systems, Inc. provides fire suppression system inspection and maintenance to keep your system in compliance and, most importantly, to keep your facility and employees safe. We use Web-based inspection reporting methods to keep track of your inspections and monitor the integrity of your system. Whether you need fire suppression system installation or fire suppression system inspection or service, we’re here for you. If you’re ready to install a fire suppression system in your building in the Mid-South, or if you have a fire suppression system and you need to have it inspected, click here or call State Systems, Inc. today at 866-308-5701!